A US jet has landed in South Korea with what are thought to be the remains of American servicemen killed during the Korean War. Their repatriation was promised by Kim Jong Un to Donald Trump at their June summit. A US military plane touched down in South Korea on Friday after flying to North Korea, where it picked up what are thought to be the remains of US servicemen killed during the Korean war. The plane landed at Osan Air Base outside of Seoul and was met by American soldiers lining up for a ceremony. The transfer of the soldiers' remains to the US follows through on a promise made by North Korean leader Kim Jong Un to US President Donald Trump when they met at a landmark summit in June. It is one of the first concrete results of the summit, which primarily focused on the denuclearization of North Korea. "Today, (Kim) is fulfilling part of the commitment he made to the President to return our fallen American service members. We are encouraged by North Korea's actions and the momentum for positive change," the White House said in a statement. The number of soldiers whose remains were transferred is still unclear, though reports said that Pyongyang would return 55 sets of remains. 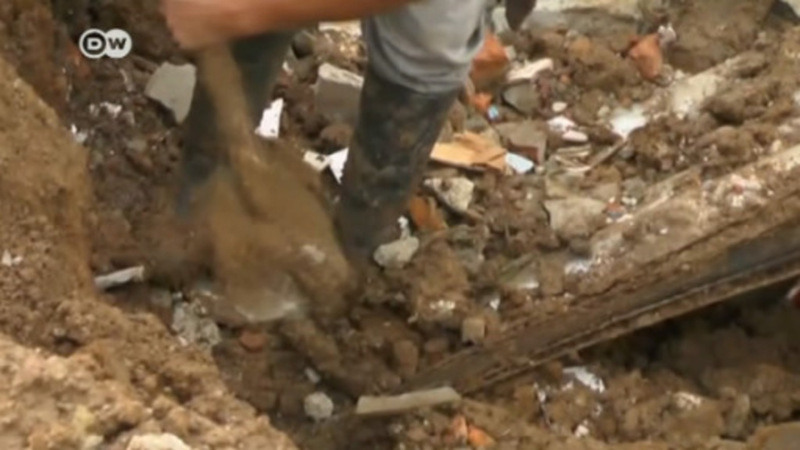 North Korean authorities likely recovered the remains during farming or construction. The majority of Americans killed in Korea, however, are still buried in cemeteries or the sites of major battles. More than 7,000 soldiers are listed as missing from the Korean War, with around 5,300 believed to be in the North. Between 1990 and 2005, Pyongyang transferred 229 sets of remains to the US but stopped doing so as relations with Washington deteriorated over North Korea's nuclear program. The remains flown to South Korea on Friday are expected to continue onward to Hawaii, where they will undergo forensic investigation to determine if they are human and are those of American troops. The war lasted from 1950 to 1953 and saw the Soviet-backed North invade the US-backed South. The United Nations eventually backed the US-led campaign. In total, the war killed over a million individuals, including some 36,000 American military personnel. The return coincided with the 65th anniversary of the 1953 armistice agreement, which ended the fighting but technically did not end the war between the Koreas because a peace treaty was never signed.